The one event in your life that ought to be truly glorious is your Wedding. We bring a fresh perspective and innovative approach to wedding design, event planning & management, merged with traditional wedding planning and etiquette. We turn your day of love into an unforgettable event and a day you will cherish for the rest of your life. 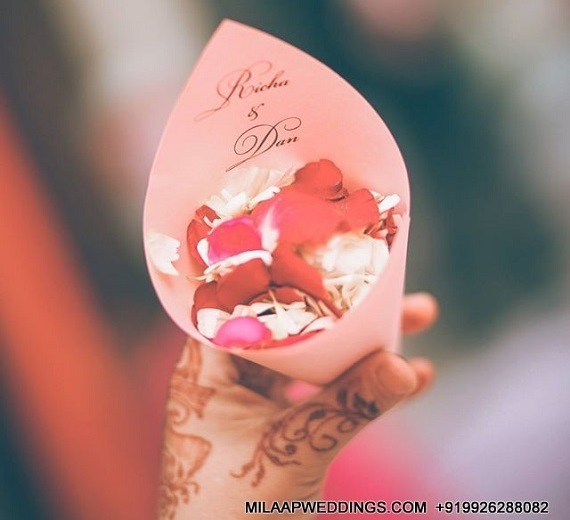 At Milaap, we work as a team to give you the perfect wedding day as envisioned by you. We focus on getting to know you, your preferences, likes and dislikes and customize the entire wedding experience as per your needs. Whether it's a small and intimate beach wedding you desire or a lavish-extravaganza our team has the knowledge and resources to help you create the wedding of your dreams. We provide you a budget-friendly wedding without any compromises on the details. VERY GOOD HOSPITALITY . EXCELLENT CO-ORDINATION. THE STAFF WAS EXTREMELY CO-OPERATIVE AND ATTENDED TO ALL OUR NEEDS AND MADE US FEEL AT HOME , "MILAAP HATS OFF TO ALL OF YOU …." VERY GOOD HOSPITALITY, ENJOYED EVERY MOMENT, STAFF OF "MILAAP, SO MUCH CO-OPERATIVE, EXCELLENT SERVICE. MINDBLOWING, EXCELLENT, SUPERB VERY NICE MANAGED, PERFECT . VERY VERY VERY GOOD HOSPITALITY CO-ORIDNATION IS EXCELLENT, NICE PEOPLE AND STAFF. HOSPITALITY, RECEPTION, TAKING CARE, IN ALL "BETTER THAN HOME"
VERY WELL CO-ORDINATED,SMOOTHLY DONE,VERY GOOD. VERY GOOD AND VERY NICE SERVICE, WE ARE HAPPY. EXCELLENT SERVICE. WILL REPEAT AGAIN WHEN NEEDED. EXCELLENT SERVICE, WE FEEL PERSONAL TOUCH. PERFECT, EXCELLENT, BEAUTIFUL, WE LOVE IT. VERY NICE ORGANISED BY THESE PEOPLE. We are just a click / call away. Get to us and we'll takecare of your rest of the arrangements. Get to us and we'll takecare of the rest.